The tears of delight bouquet are just what the name states, a bouquet which, when given to the recipient will jerk forth tears of delight. 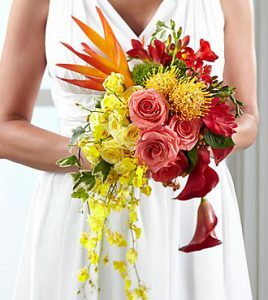 Roses, cascading lilies, orchids, baby’s breath, birds of paradise and sunny, yellow flower buds, form a beautiful bouquet that can be used for any occasion you wish to use it for. 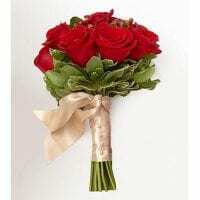 Giving a gift of a bouquet is a great way to break the ice and let someone know that you care for them, or love them, but giving them tears of delight bouquet can have a lasting effect on them and on their emotions. 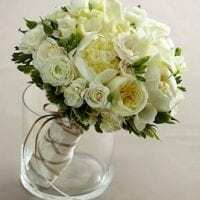 When you think of where to buy tears of delight bouquet in Toronto, look no further than Toronto Bulk Flowers as they have a wide variety of floral arrangements and bouquets. They operate a local flower shop in Toronto where you can see the different options that they offer in comparison to your local florist. If you would rather get them as wholesale flowers Toronto then you can definitely do so and have leftovers to use for another project when the need arises. 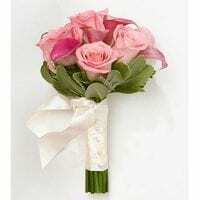 This is also possible if you order them as bulk flowers Toronto, as the terms are interchangeable. Use your tears of delight bouquet to add cheer and laughter to a special someone’s day, or to brighten up someone’s workday. A gift of flowers from Toronto wholesale flowers can do just that, as well as allow them the freedom to create other, more resplendent arrangements by mixing with ribbons, bows, or even decorative boxes to get the look they are trying to achieve. This is not one you will lose with as its beauty alone speaks for itself. 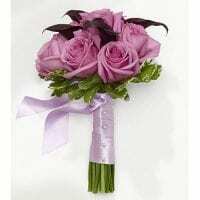 Look at the tears of joy that you will see upon the presentation of this particular bouquet and it will leave you satisfied that you made the right choice.